Have you ever been laying down in your bed after hours, just about to drift away and fall asleep while suddenly your body decides that it has its own approach? It shakes you awake and right out of the blue, you start feeling your heart racing. If you’ve found yourself in this situation, rest assured that you’re not the only one and this is something a lot more common than you think. You’ve fallen victim to something which is quite natural. It’s called a hypnic jerk or a sleep twitch, and while it might be entirely normal, this doesn’t make it any more pleasant. It is defined as nothing but an involuntary twitch which tends to happen just as you are about to step into dreamland. While it comes with a few different names, they all stand for the same thing. What is Hypnic (Hypnagogic) Jerking? 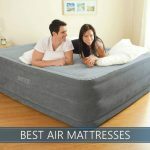 Do you want to know our top rated mattresses? Our team researched many different mattresses to help you confidently choose the right one for you. This relates to the actual movement as well as the feeling that you will come to experience. Its main characteristic is that it is sudden and it could easily disrupt your bedtime, leaving you feeling wide awake after the time of the jerk. Some people would lash out or move their legs and arms as well while others would jump up or twitch ever so slightly. In very few cases, though, this same sleep twitch is accompanied by a scream or shout as your body reacts to the violent nature of this phenomenon. As we’ve mentioned before, the hypnic jerk has a few variations of its name. It is commonly referred to as hypnagogic jerk, sleep start, night start or a regular sleep twitch. While the names might differ, these are pretty much the same names describing one condition. Additionally, it is also called myoclonus or myoclonic jerk – this is the actual medical term which is used to describe that particular involuntary muscle twitch. Now, the thing that you ought to consider is that this is not an actual condition or disorder. Even though we will elaborate more on that down below, it’s important to note it. Therefore, there are no symptoms as per the medical definition of the term. The most obvious thing to consider is that you are likely to wake up if the twitch is considerable. Apart from that, mild jerks are not going to affect your bedtime. However, what’s characteristic about them as seen from the side is that they are uncontrolled and they don’t seem to have a connection of any kind. Hence, you could twitch your pinky toe and your left arm one after another. When it comes to the actual causes, it is quite important to note that there are a lot of theories behind them. Unfortunately, no one has currently been able to identify the most definitive answer to this problem which seems to be as old as time. The AAOSM, however, studied this particular issue and the scientists have already come up with a few potential causes. Some of them include stress, coffee, anxiety as well as exercising late at night. Even though these twitches happen to people with certain bad sleeping habits, they also tend to take place within completely normal and healthy-living individuals as well. One of the first things you could potentially do is avoid caffeine in the afternoon and evening. Even if you get some refreshing coffee in the afternoon, this could have a serious effect on your overnight sleep. The lack of the latter, on the other hand, could easily cause a hypnic jerk. It would be most reasonable for you to keep caffeine down to a minimum and if you need to have it, make sure that you do so in the morning and make sure that you avoid it past midday. This would give you best crank at getting rid of the jerks. This is another thing that you might want to consider. Saying no to the sweet nectar would allow you to enhance your sleep and prevent the hypnic jerk as well. The thing about alcohol is that it is, in fact, a stimulant as well as a depressant. As such, it could easily affect the overall chemical make up which is found in your brain and make it quite difficult, if not impossible, to go or to stay asleep. Sure, we get that it’s quite tempting to knock back a glass of wine, it’s also important to note that this would compromise the quality of your sleep and you may find yourself twitching through the night. Don’t get us wrong – exercising is great for your body, and you should consider it if you haven’t already. However, there are appropriate times of the day when you should be exercising. If you do it too close to your bedtime, this could easily cause hypnagogic jerks. In fact, as we’ve stated above, this is one of the leading causes. You should try to keep your exercising activities for the morning hours. If you don’t have time for it then, stick to more relaxed undertakings late at evening, like Pilates or yoga. There is a range of different herbs and essential oils which could easily induce a deeper sleep and one which is stress-free and relaxed. Eucalyptus, for instance, is one of them and it’s known to produce a cooling, relaxing and particularly enjoyable aroma. The list goes on and virtually everything that smells nice and it’s not strong would help you go through the night in a more relaxed manner. This would also result in a lot less hypnic twitches if any at all. Get yourself in the habit of a pre-bedtime routine. This includes a series of things that you should do half an hour before you fall asleep. First off, it might be a good idea to relax your mind and quit thinking about the issues of the day. Second, blackout technology entirely. Turn off the TV, forget your phone, put the laptop in the other room and simply stay there in the dark. Your mind would quickly adjust to that as a stress-free environment which induces relaxation. This would translate to a deeper, twitch-free state of sleep which is more beneficial. There are a few additional supplements that you could use to reduce twitching through the night. Calcium, as well as magnesium, are known to relax your muscles and to prevent spasms. In fact, magnesium is overly responsive to proper blood flow and, as such, it would also prevent minor clotting which is usually something that could cause twitching. Just say to yourself that you don’t care about sleep. Plan the night as if you are not going to bed at all. This is an odd advice, and it sounds strange, but the truth is that a lot of people get overly obsessed with the idea of getting six to eight straight hours of sleep that they try to force it. This will inevitably cause anxiety as soon as these expectations are somewhat disrupted and, in turn, you’d get caught up in the aforementioned vicious circle. Of course, you can also rely on a bunch of other things such as the ones that we’ve mentioned above, including herbs, supplements, proper and timed exercising and others of the kind. The twitching itself is not a disorder. However, as we’ve already stated, there are certain sleep disorders which could lead to it. Anxiety, as well as panic attacks, could be caused by repeated sleep starts. The fear of suffering a twitch is also something that could set off a lot of issues, and it could dramatically disrupt your bedtime. Do not confuse the hypnic jerks with the far more dangerous sleeping disorder known as sleep apnea. This is a condition where you get your breathing airways obstructed because your tissue and muscles in your throat are overly relaxed. This could cause some serious issues. Why Do You Twitch in Your Sleep? There is no one-off definitive answer to this questions and scientists are quite thorn about it. However, there are a few well-known causes for this sleeping phenomenon. Excessive alcohol, too much caffeine, exercising far too close to bedtime, stress, anxiety, and others of the kind are common causes. On the bright side, there is a lot that you can do to reduce or prevent the twitching in its entirety. Can Hypnic Jerk Be A Near Death Experience? 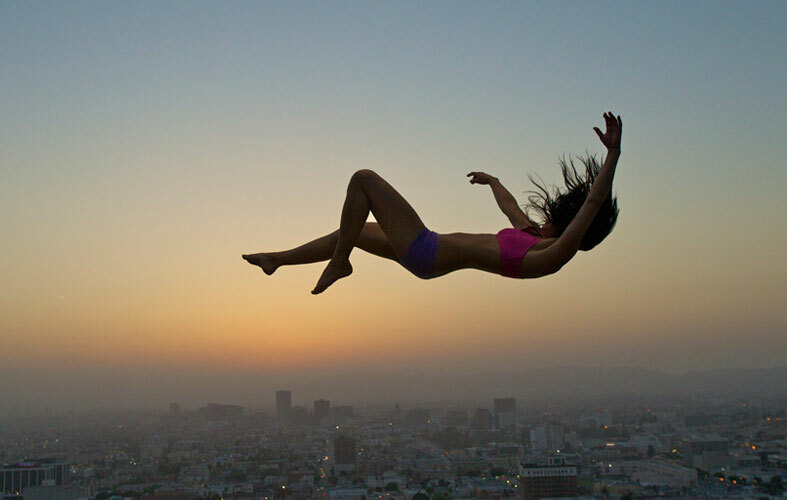 Hypnic twitches tend to last for no more than a microsecond. None of your vitals are shown to stop, and there is no chance of this being a near-death experience. People who have these issues show absolutely no change of pace regarding breathing, and as such, there’s nothing serious going on within their body. The issue is that it could cause serious anxiety as it starts to happen over and over again. In additional, it will undoubtedly disrupt your sleep which is definitely something that you want to avoid. What Does It Mean If You Jump In Your Sleep? Well, the truth is that there are a few different explanations for that with one of them being related to our breathing patterns. Heavy snorers usually experience this “jump” feel because their airways are commonly almost blocked. As soon as the airflow gets disrupted more substantially, you will quickly experience the jump sensation and wake up. Another explanation is related with our dreaming. When you dream, you are most commonly on solid ground. However, as soon as you lose the ground under your feet or you experience a fall in your sleep, this would immediately send the same signal to your brain which would cause an overly protective reaction. So, the jump is pretty much you trying to find a quick solution to the falling issue. Can It Happen While You're Awake? Hypnic jerks while awake can’t happen, obviously. Regular muscle twitching, on the other hand, is a common phenomenon. It could be caused by a range of different things, but it’s mostly indicative of magnesium deficiency. Can You Cure Hypnic Jerk? There is nothing to cure. You can reduce the twitching or get rid of it entirely if you follow the advice that we gave you above. Reduce caffeine and alcohol, exercise in normal training hours, give yourself a break in terms of stress, unplug and make sure that you have a good night of sleep. Don’t think about it too much and you will be able to see the difference quite quickly. How Might It Affect My Life? If the situation becomes chronic, and you got some severe hypnic jerks, this could have a rather serious impact on your life. It would result in sleep deprivation which quickly translates to stress and anxiety. Additionally, the lack of sleep is also known to cause a lot of issues such as depression, weight gain, higher blood pressure, heart conditions and others of the kind. Of course, these are worst-case scenarios in the event of a chronic hypnic twitching. There is nothing that major that you’d have to account for. A few small alterations to your daily life could put a damper on these quickly and effectively. Is sleep jerk a kind of fits? How to compensate magnesium deficiency which is mentioned as one of the possible reason? I take magnesium supplements in most cases. I often get cramps too, so it helps muscles relax. My Dr prescribed Clonazepam for my anxiety and also for the night jerks, I also sometimes get some jerks during the day, i would like to know if anyone else has been prescribed this and has it helped? I too get the same prescribed and also get them throughout the day, but they are not like he describes. They are pretty hard, frequent jerks! I started having these rather strong jerks 5 years ago, when I developed a serious bout with neuropathy. They were driving both me and my hubby nuts, and good lord, if I’d get one in my hip area, it’d flip me over. It was really affecting our sleep. Once the neuropathy began to get better, so did the number of jerks. I still get them, but not nearly as frequent, which I’m grateful for. That doesn’t sound like this at all, are you sure you dont have restless leg syndrome? Some people with restless leg will kick their partner or even injury themselves in more severe situations. You should speak to your primary care provider and consider a sleep study. It appears to be a vitamin deficiency. For me replenishing Potassium and Magnesium in the body reduces symptoms. I have Gerd which starts the use of antacids which then depletes Potassium. Be very mindful of the dosage you consume in supplements know the daily allowances for you and your health. Speak with your doctor. However in foods you could eat a couple bananas and large spinach salad and be back on track. The heart beat or electrical pulses seems to be off kilter due to lack of potassium causing tachycardia. I think Magnesium is a solution as well. Please check with your doctor before consuming anything. I slept 6 hours tonight after replenishing by body with proper nutrients. By the way, suffered with this for 20 years and just realizing the culprit. Here’s to good. Ive had this since i had 4 major eye operations. Ive tried all the supplements this article stated and meditation. Its all rubbish and saying its not a condition doesnt help! Its an awful thing to have and very frightening. Ive seen 2 neuro docs and have been on diazepam for 12 months. My last neuro claims its all stress related and now im on anti depressants and slowly coming off the diazepam. My twtches and jerks have started to return but im desperate to battle on and get off these awful drugs. If youve been put on Clonazepam i strongly advise to get off it. Its really difficult to withdraw from as im finding out. Mirtazapine certainly helps me sleep and isnt as bad as diazepam. These Docs dont know what it is so they just shrug their shoulders and claim theres nothing wrong. Claiming its not a disease is like saying we arnt being believed! Dont listen to them! I have jerks or spasms while awake. It has destroyed my sleep, and I am getting pretty desperate. The only sure cure (unpleasant as it is for me), is to get out of bed, and go for a 1/2 hour walk, which is difficult for me since I underwent open heart surgery 5 months ago. Then, I experience dizziness from the lack of sleep for the rest of the day. Constant , short naps are necessitated by exhaustion. I can’t receive e-mail since the day my computer was hacked, and , therefor, I regrettably, lose the chance for your collective wisdom. At least I’m 80 and it won’t go on for long. I too have been suffering with this for years. I have tried multiple meds to no avail. I am currently scheduled with neurology to see if there is an underlying issue. The only thing thats puts me to rest (sleep through the jerk) is alcohol, and thats horrible. I am also curious if I have developed an anxiety disorder due to this issue. I seem to constantly be in a frantic mental state, sweating, nervous 24/7, tired, no motivation at home, panic attacks, etc. I will share my results when complete. Don’t give up guys and gals! I had them seven years ago and tonight for the first time since then, I have had two, I have been anxious and crying a lot, so for me it is definitely linked to stress. They are horrible things to have. As soon as your body has jerked awake, you are wide awake and then scared of it happening again. I’ve had these since having a breakdown last year and going onto antidepressants. I found myself in the cycle of it getting me down, the GP would increase the antidepressants and the hypnic jerks would then get worse. I was having at least a dozen episodes a night, some of them feeling like a whole body seizure. I was getting upset at bedtime because I knew the madness was about to start. Anyway I started to read up on it (finally I had a name for what it was!) and the suggestions were either more strong drugs or that it could be a magnesium deficiency. Taking the easier option I got myself some magnesium tablets, took the max dose daily, and although it took about a week to take effect the results were amazing. I still get phases where I might get a handful of twitches at night but they are so gentle as to not freak me out and ruin sleep. It may not work for everybody, probably won’t stop them completely, but if you’ve yet to try it magnesium tablets could be the thing that improves your life . Good luck fellow sufferers and sorry for rambling on. I did this five times between 10 and 2:30 last night. It was very strange. I have not been doing anything different but I have been very busy at work. I injured my lower back L4 and L5 vertebrae and developed extremely hard leg jerks in both legs at night about every 5 minutes or so. Couldn’t sleep well at all, then I would lay on the hard floor with the small of my back against the floor which would relax the lower back muscles in time the leg jerks would stop. Now after about five years the leg jerking has almost stopped completely. I have read that back injuries can cause restless leg type syndrome. I have had these body jerks at night while I’m trying to go to sleep for years now. Sometimes it’s in my hips and legs and other times it’s in my shoulders and arms. But it has caused me to go several days and nights without sleep. I had a back injury a few yrs ago and was put on pain meds. While I was on the pain meds I had no jerks at all. But when I stopped the meds the jerks returned. I can’t find a relation between the two but all I know is that no other med works for me except a pain med to stop these awful jerks at night. I don’t want to be on the pain meds but I have to sleep at the same time. Any thoughts??? I’ve had RLS (restless leg syndrome) and the hypnic jerks. The RLS goes through my whole body! Now I have visual seizures to go along with it! Requip works pretty good! Unless your fortunate enough to live somewhere weed is legal. Then I’d be smoking!! Thank you for writing about this. I’d like to clarify one point – hypnic jerks while ‘awake’ are common for people with Narcolepsy. Our brains don’t/can’t regulate sleep-wake states & phases; we experience them & their aspects (cognitively & physiologically) randomly, intermittently, often very quickly & out of sequence. For example, cataplexy is a primary physiological aspect of REM sleep – it’s muscle atonia; when your muscles lose tone, your body goes limp. Persons with tNarcolepsy experience (full & partial) cataplexy while awake, often in response to strong emotions – ie, we’re not always ‘dropping off’ to sleep. Sleep can accompany cataplexy, but often we’re fully lucid & just can’t move (respond, etc). In the general population, sleep states follow a typical sequence & timeline; Myoclonic twitches are common as you phase through, muscles relax on eventual the path to (REM) sleep atonia, etc. Narcolepsy adheres to no sequence, timeline, or schedule – it nulls the ‘sleep’ qualifier for this & all aspects/phenomenon thought only to occur during sleep. It literally erases that boundary altogether. It’s a profoundly misunderstood neurological disorder – hoping to change that. A few months later I developed bradycardia and they said it was bradys….but they don’t show up on my “LINQ” heart monitor inserted in my chest. .to “pinpoint the culprit or find and record ..
I’ve had this problems for few years. Did not know what the problem or solution was. It happens more when I have a beer after dinner, before going to bed. Lately, when I went for a strenuous walk for many miles per day, made this problem worse. This is what I have learned. This problem can be avoided if you take Magnesium. When this happens at night, take a pill of Magnesium and you will be able t sleep. It may take some time after taking the pill but you will fall asleep faster than not taking the pill.